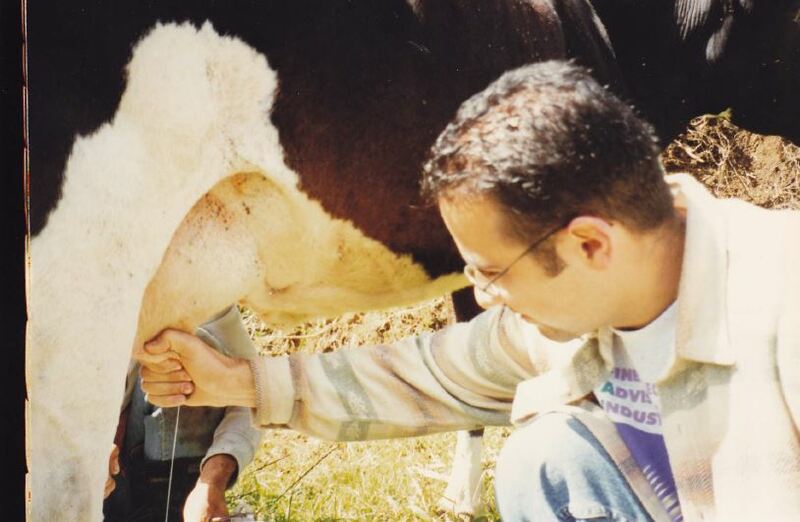 At a critical juncture in my life I milked a cow and it changed my life. At the very least it greatly enhanced it. I was 21 and clueless about nature, the beauty and grandeur of God’s creation and likely quite self-absorbed. I had grown up in the very urban island of Montreal. I went to Mass somewhat regularly but my spirituality was as deep as a Montreal pothole (given the size of some potholes in Montreal, I guess that’s not too bad). I knew nothing about the food or life cycles, the breadth of the planet’s beauty or the overwhelming presence of God in my daily life. The opportunity to milk a cow came on a trip to the Eden-like lush mountaintop villages of Antioquia, a province of Colombia. I was out of my element. The milk was warm. The udders, soft and full. The local farmer glowed with serenity as he guided me to a successful initiation. In retrospect, the cow seemed cosmic (well, assuredly larger than life! ), the experience deeply moving. I returned from the trip sharing that experience with all those closest to me. I haven’t stopped since. It’s now been almost 20 years since that fateful experience. I’ve since gone back to milk a few more cows. I recommend the experience to everyone. It’s likely helped me to see and know God as much as any formal catechism. And if you can’t go yourself, please send your kids.